Today more than 200,000 people are marching in support of Gay Pride in Tel Aviv. Mr. Ishtiwi, 34, was a commander from a storied family of Hamas loyalists who, during the 2014 war with Israel, was responsible for 1,000 fighters and a network of attack tunnels. Last month, his former comrades executed him with three bullets to the chest. 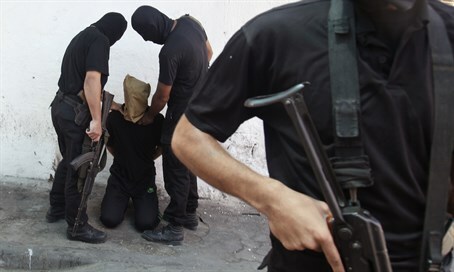 Adding a layer of scandal to the story, he was accused of moral turpitude, by which Hamas meant homosexuality. While all countries fall short, it’s important to keep in perspective where the rare and delicate flower of liberty is cultivated. If people forget which countries, on balance, are friends to liberty, no friends of liberty will remain. This entry was posted on Friday, June 3rd, 2016 at 7:52 am and is filed under Uncategorized. You can follow any responses to this entry through the RSS 2.0 feed. You can leave a response, or trackback from your own site. Indeed, so thoroughly does Islam trump race and gender in the pecking order that I believe Israel would get no credit from the Left on this even if it weren’t full of Jooooooooooos. Although the days of feeling smugly superior to the Left on that subject appear to be passing away. I shall enjoy what little is left before the incoming tide of Trumpism washes away what is left of the Right’s honor.